Overall Winner: Seriously capturing the mood of our times, and exemplifying every aspect of a “quality future” for local brewing. The judges were able very rapidly to conclude that this was this year’s outstanding entry. Winner: THORNBRIDGE An impressive entry in the Marketing Launch category that stands even better as a shining example of customer support. The challenge set was to celebrate the 5th anniversary of Jaipur IPA and devise a controlled strategy to develop its national exposure. Identifying M&B’s Nicholsons 90-pub chain as an ideal partner with a reputation for supporting cask ale and the perfect “premium” market image, Thornbridge worked very closely with Nicholsons’ beer brand managers to develop the “Jaipur Anniversary Tour”: 3-month stocking; Beer Bus tour across the country (London, York, Leeds, Edinburgh); meet-the-brewer sessions; brew-a-beer-for-Christmas competition; iconic poster design. Nicholsons reported customers “captivated” to an unprecedented degree. Great support for brand, pubs, customers and the cask ale category. Winner: LODDON For innovative development and use of their Facebook page to stand out in an increasingly popular medium of communication. It was a bold decision to use Facebook as the primary news feed, before the brewery website – realising exposure to more “traffic” would be achieved. An impressively personal weekly blog by the sales manager helped create a traditional feel of community through a very modern medium. Imaginative development of method: competitions, photos, car sticker promotion. Important collation and use of customer feedback. Now almost 600 fans. Winner OTTER Brewery For the UK’s first underground “eco cellar”. A modern state-of-the-art design that is already saving over 6 tonnes of CO2 emissions a year – equivalent to 8 chillers and compressors which would otherwise be running 24/7/365. Saving over £27k in electricity costs – will soon help “zero-rate” the cellar. This brewery’s support for the Midlands’ Air Ambulance is attaining legendary status. Has entered this category before but really stood out this year – and not because of any weakness from the other entries. Edward Wood set out to commemorate 30 years of brewing and 60 years of living by cycling from Land’s End to John o’Groats. Hoping to raise £6,000, he actually doubled that to £12,000. Winner: BAYS A holistic in-house strategy that has paid significant dividends – judging by the impressive amount of support evidence of media coverage that was submitted. 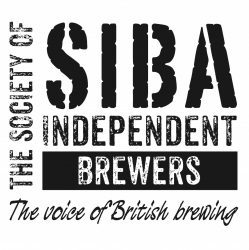 SIBA’s local beer election celebration gained 3-page coverage in local press; beer awards have been very effectively promoted. Direct mail merge campaigns, new website, sponsored events, charity support, product placement and celebrity endorsement (by John Burton Race) have all been used to maximise publicity, increase brand awareness and raise company profile. An all-round example of brilliant promotion and PR by a local brewery team without the financial resources to outsource their marketing. Winner: LIBERATION Following the establishment of the Liberation name by the Jersey Brewery – Liberation Group, Liberation Brewery, Liberation Ale – work has continued to strengthen the new corporate identity. Seasonal ales (Ambree, Blonde, Rouge and Noire) highlight Norman heritage and local seasonal produce – right down to honey from Jersey and Guernsey being used in their respective versions of Blonde. Revival also of Mary Ann Best and Special – all incorporated in a well structured media promotion campaign covering every imaginable aspect of a successful launch: charity initiatives, female-friendly tastings, brewery tours, social networking, point-of-sale, ale trail, and a close partnership with Jersey Tourism. Great achievement in the local market, but has also put the brewery and its Channel Islands home firmly on the UK local beer map. Congratulations also for an extremely professional and comprehensive entry. Winner: ROOSTERS This entry forced a rethink on this category’s criteria with a totally brilliant design concept to build a brand, rather than an overall brewery image. Good Cheer Beer was a recession-busting, confidence-boosting, smile-inducing idea brought to fruition by Rooster’s and design consultancy Elmwood.”An honest, feel-good beer…to ease people’s worries and get them smiling and chatting again. Pumpclips that wink; conversation-starter beermats; “chatterbox” for suggestions for the conversation chalk-board; and poster and t-shirts – all combined to great effect, creating a successful brand that has sold well over 1,000 firkins across the north of England since its launch less than a year ago. Winner: WYE VALLEY Just about the quickest decision – the judges were delighted to see well-known brewing beauty Dorothy Goodbody in a new and even-more-eyecatching-than-usual guise. Winner: BRISTOL BEER FACTORY As contemporary as design can get, and conclusive proof that this is a vibrant and forward-looking industry. “Pint Pot” logo used to great “minimalist” effect to create a brewery family identity. Winner: OLD DAIRY For Red Top – eye catching and amusing. Part of another family of clips that impressed, judges knew this would also stand alone and stand out among competitors on any bar. Winner: FLOWERPOTS Eye catching recognisable style, strong “family” identity, informative and witty. Nice detail in varying pot “contents” and (in some cases) beer colour indication. Highly Commended: OTTER & LODDON These two breweries were chosen for the impressive range and quality of their entries, including – but not limited to – their category wins. Highly Commended: PURITY For sponsorship of Moseley Folk Festival, with a support package beyond the norm, and punching well above the weight expected from a local craft brewery. The main sponsors for 3 years running; engaging with 7,000 folkies each year; exclusive bar suppliers; and social media building on Twitter (500 new followers). Has led to first-year sponsorship of the Mostly Jazz Festival, for which 5,000 tickets sold. Highly Commended: CONSETT In a family of clips that communicate the style of a “steel heritage”, Molten stood out as an eye catching individual. Highly Commended: ALLENDALE A very strong and recognisable family style, clear labelling, appealing art work and illustration.